User Experience (UX) Research is essential to effective app design and development. There are similarities and differences between traditional academic research methods and lean UX. Join this workshop to expand your research skillset and apply what you’ve learned to your next mobile app project. The session will be lead by experts from Prolific Interactive. Register here! Breakfast will be provided. Please plan to attend the whole workshop if you register. 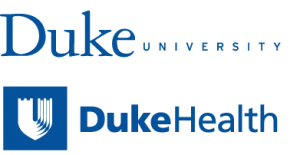 Event slides and worksheets are available in our Duke community Box folder.